Kismet Andrews and Lisa Thorstenson’s New Book Offers Proven strategies to get in, fit in, and sell your products at markets and fairs. NASHVILLE, Tenn. (August 1, 2016)–Selah Press announces the August 1 release of the KL Press book The Art of Schlepping: Proven strategies to get in, fit in, and sell your products at markets and fairs available in paperback for $9.95 and on Kindle for $3.99. Authors Kismet Andrews and Lisa Thorstenson were prompted to write The Art of Schlepping to arm readers with everything they wish they had known when they started schlepping. This revolutionary book will arm you with simple strategies and provide you with the tools you need to be a profitable schlepper at farmers’ markets, holiday craft fairs, bazaars, street fairs, festivals, and more. 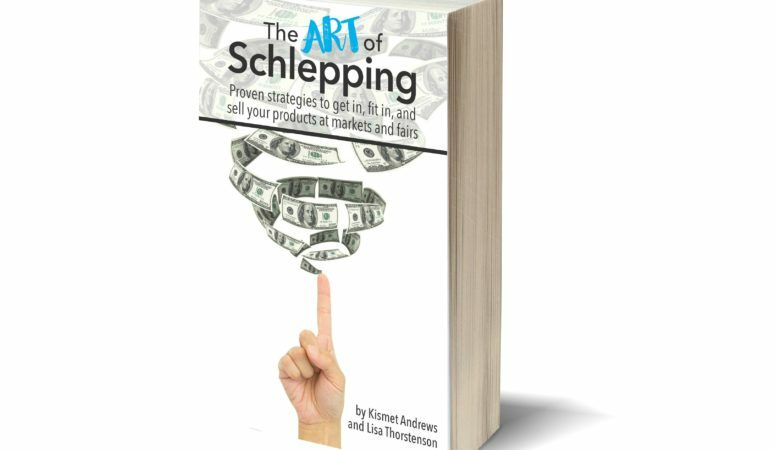 The Art of Schlepping is based on co-authors Kismet Andrews and Lisa Thorstenson’s twenty-five combined years of schlepping experience. This is a field guide for getting your special sauce in front of eager buyers over the span of a few short hours. The Art of Schlepping teaches the schlepper how to make money while forging meaningful connections. Andrews and Thorstenson pearls of wisdom for the experienced schleppers including: Cindy Thorson Hanson, Cortney Heimerl, Danielle Vincent, Kayla Fioravanti, Kristen Janzer, Kristine Jacklin, Linda S. Partsch, Lisa Buteux, Lynnsy LeBlanc, Patricia Monk, Rachel Najera, Rachel Potucek, Sharon Hackman, Stacia Guzzo, Theresa Morrison, and Una Walker. Kismet Andrews is a moon-gazing, nature loving, modern day nomad in relentless pursuit of creating balance between decorating the world with opportunity and practical left brained matters. 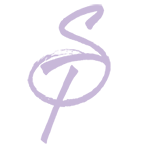 After studying midwifery, she spent many years in a conventional healthcare setting providing mediation/conflict resolution, executive support, and developing campus wide projects. She ditched all that a few years ago and gave birth to Bar-Maids, a Washington small-batch bath & body company, is co-author of The Art of Schlepping, and co-owner of KL Press. Lisa Thorstenson is a dreamer, a doer, a creator, a believer in second chances, and someone who doesn’t accept the status quo. A Registered Nurse turned entrepreneur, she’s a bootstrapped single mom chasing her dream. She’s the founder and owner of Cloud Nine Soap Co, a Wisconsin based bath & body care company, author of Sharing Our Heritage Cookbook, co-author of The Art of Schlepping, and co-owner of KL Press. Lisa is a passionate traveler and outdoors person, a yogi, a foodie, a mighty fine cook, and a heck of a dancer. KL Press, an Indie Publishing House, is the brain child of Kismet Andrews and Lisa Thorstenson. The seed was planted in January 2015, the idea was born in January 2016, and the company officially launched in March 2016.